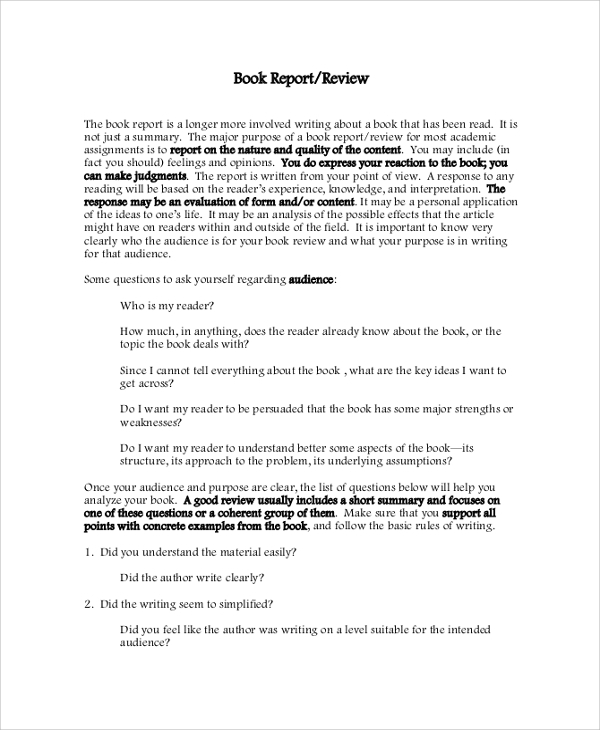 Every book reviewer needs a sample book report to go through the guidelines on how to write a report on any genre of book in a proper format. The following Sample Book Reports contain thorough guidelines on how to write the introduction, plot analysis, character analysis, the conclusion, and verdict. Such reports are most useful for college students for book review projects or those willing to write a biography and for amateurs who are starting book review as their profession. The following reports contain samples, questionnaires and separate guidelines for a different genre of books such as biography, novels, history books, science books and much more. 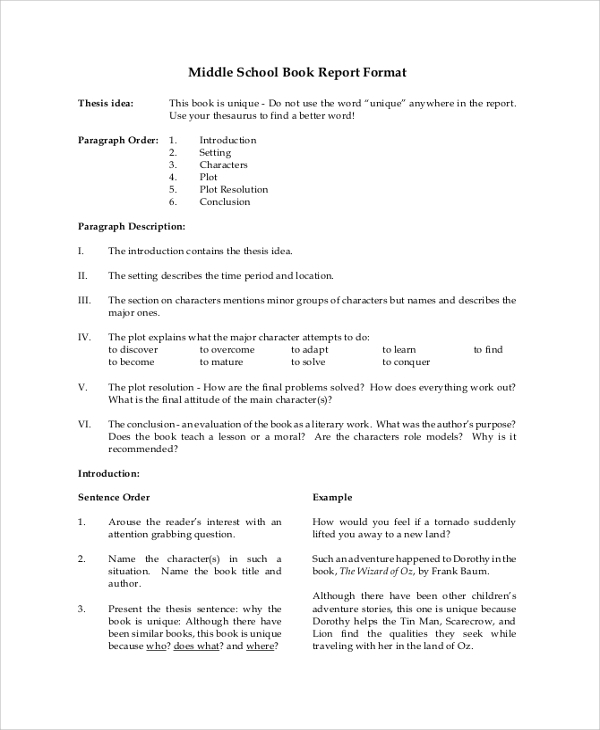 This is a complete book report format for middle school students. It explains clearly the sections to be included in the report and how to write them to match the expectations. Starting from the introduction, settings, plot, to characters and conclusion, everything flows systematically. It provides an example how the introduction should be as it determines how the thesis is, how the conclusion should be to leave an unending impression on the mind of the readers. 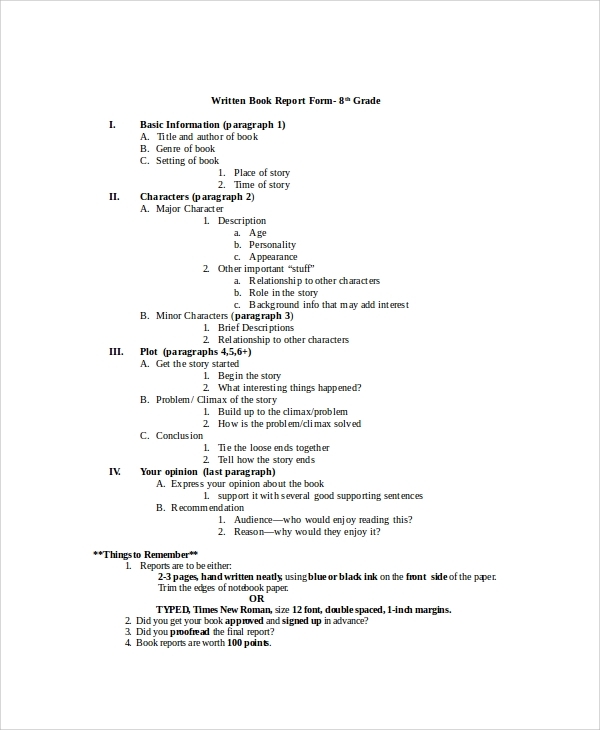 This is a complete guideline manual for writing a book report or review for college students. It shows how to write the report keeping in mind the type off audiences who are the readers. 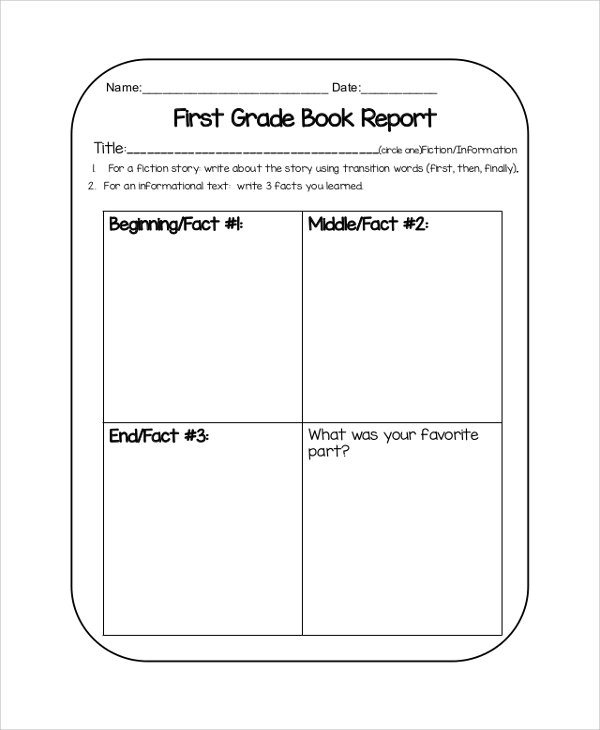 It has a set of questionnaires that a student must answer and have in mind to write a better report. There are separate questionnaires that are useful in writing a novel and biography report, history book report, science book report and much more. 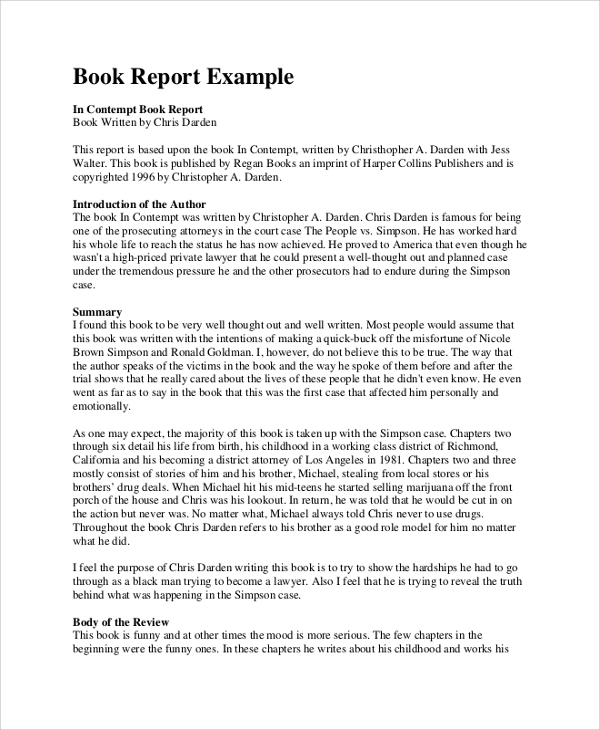 This is a step-by-step guideline to write a report or review on a biography book. It states the steps a reviewer must take before he can start reading it. What are the things to keep in mind, things to collect while reading, the questions that a reviewer must answer before writing a review to have a complete grip on the subject. It states clearly how to present the report in a written format and in an oral presentation. It lists the questions that need to be answered about the person on whom the biography is based on. 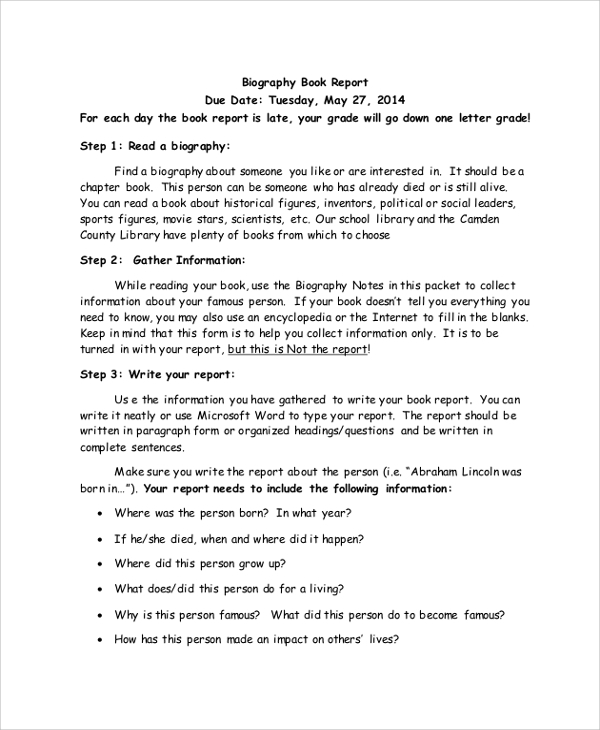 A book report is a manual and a set of guidelines for the college students who wants to write a biography on someone. 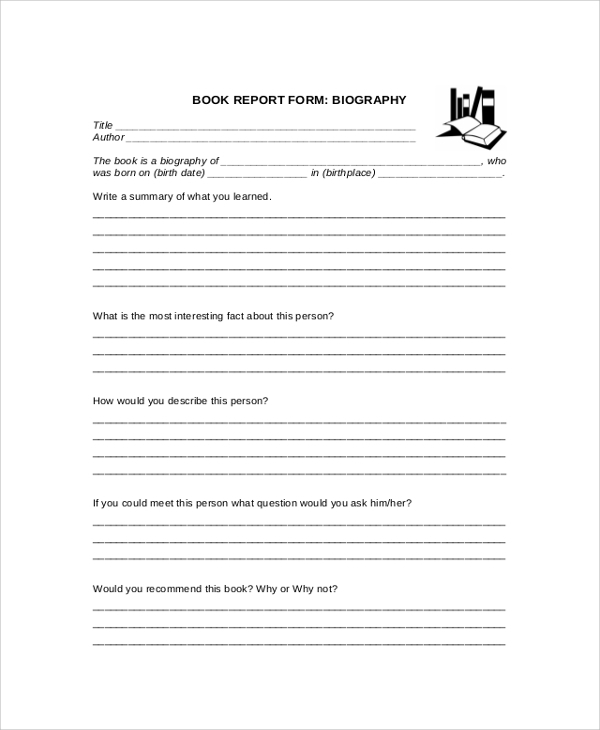 They provide the questionnaire on which the students need to collect information to write a biography. They state the points a biography must have to be an engaging book. 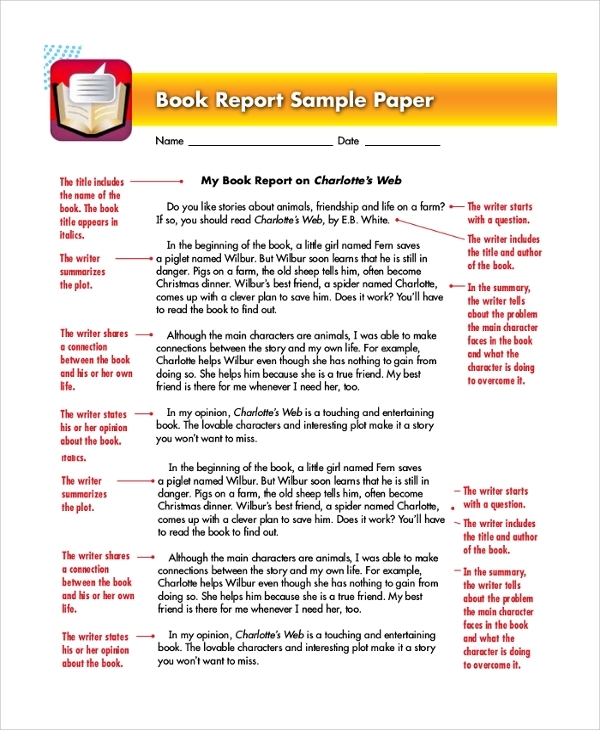 On the other hand, the above book reports are guidelines for any book reviewer as they provide a Sample Report Card format and ideas on how to write the introduction, conclusion and the body contain character and plot analysis so that they look professional, unbiased and interesting to read throughout. Such sample reports make sure that the book reviewers never miss out on any point irrespective of what genre of book it might be. The targeted audiences for such sample book reports are the college students and the book reviewers. The college students who are willing to write a thesis on any subject or a biography on a popular person needs to go through such sample reports to understand the proper format and the points they need to cover to make the report interesting and engaging. For any amateur book reviewer or reporter, they are very useful as they contain sets of questions based on a different genre of book to write a thorough report containing all the necessary points and details that some professional book reviewers may miss out. 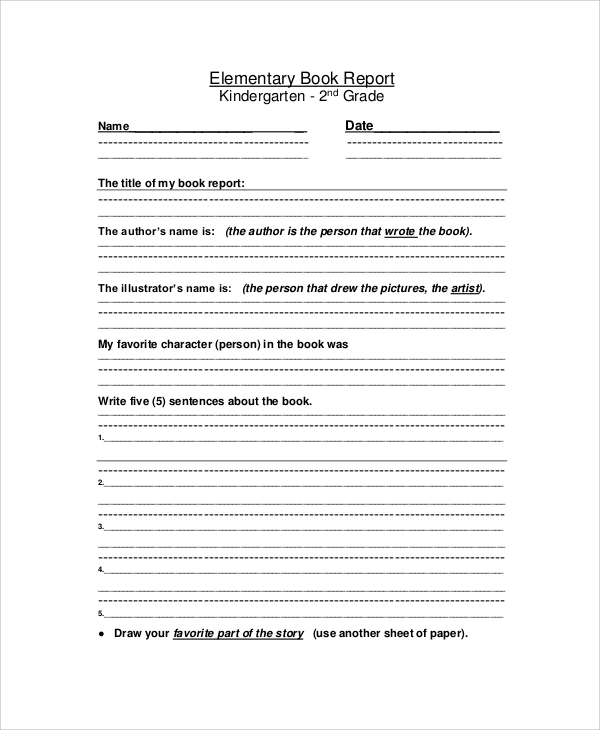 Sample book reports contain book review formats for fiction and non-fiction category of books. They provide different ideas for making book reviewing interesting. They contain all the guidelines, steps and questionnaire based on which a book reporter can approach a book to collect information and prepare an analysis on it while reading, keeping in mind those guidelines and questionnaires. They also help in preparing an Annual Report and report card for any organization. 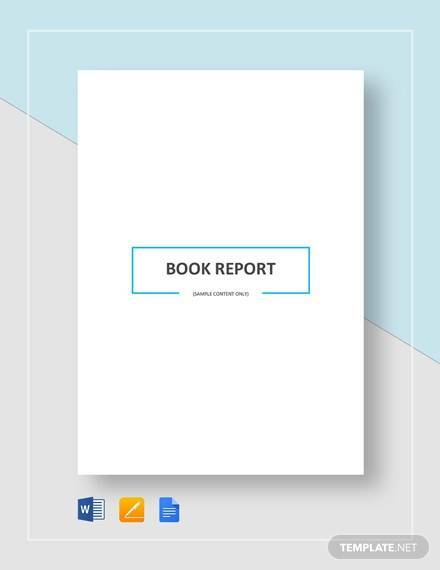 The above-listed sample book reports contain the proper format that every book reviewer or writer of biographies must follow to write a stunning and engaging report. They contain thorough guidelines on the must-haves for introduction, character and plot analysis and conclusion. They also contain questionnaire that every book reporter must ask himself or collect information before writing a report.